The 2015 Savannah Music Festival continues. On Thursday, April 2nd at 9 p.m. enjoy the sounds of Vusi Mahlasela. He is simply known as “The Voice” in his home country, South Africa, and is celebrated for his distinctive, powerful voice and his poetic, optimistic lyrics. His songs of hope connect Apartheid-scarred South Africa with its promise for a better future. Vusi Mahlasela has shared the stage with Dave Matthews Band, Sting, Josh Groban, Paul Simon, Ladysmith Black Mambazo, Hugh Masekela, Angelique Kidjo, Ray LaMontagne, Amos Lee and many more. His captivating performance during the SMF 2009 presentation of the Bela Fleck Africa Project was remarkable, and his return to SMF features some of South Africa’s most revered musicians. Bassist Bakithi Kumalo played on the original “Graceland” tour with Paul Simon and has also collaborated with Herbie Hancock and Gloria Estefan. Ian Herman is widely considered to be South Africa’s most gifted drummer and has backed Paul Simon, George Duke and many others. Mongezi Chris Ntaka was the former lead guitarist with Lucky Dube and the Slaves (Africa’s top selling artist), and is known for his strong rhythm playing and warm tone. 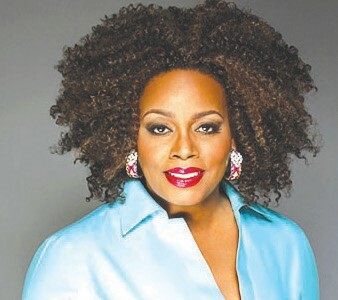 On Friday, April 3, at 8pm, prepare yourselves for an evening with Dianne Reeves at the Trustees Theatre. Returning for her fourth SMF appearance and her first since the 2011 double bill with Brazilian guitarist Chico Pinheiro, jazz singer Dianne Reeves is among the preeminent jazz vocalists of the past three decades. A multiple GRAMMY winner, Reeves has recorded and performed extensively with the Jazz at Lincoln Center Orchestra featuring Wynton Marsalis, who said of Reeves, “She has one of the most powerful, purposeful and accurate voices of this or any time.” Reeves has also recorded with the Chicago Symphony Orchestra conducted by Daniel Barenboim and was a featured soloist with Sir Simon Rattle and the Berlin Philharmonic. In addition, she was the first Creative Chair for Jazz with the Los Angeles Philharmonic and the first singer to ever perform at the famed Walt Disney Concert Hall.